Every one of you should examine anew your life of believing in God to see whether, in the pursuit of God, you have truly understood, truly comprehended, and truly come to know God, whether you truly know what attitude God bears to the various types of human beings, and whether you truly understand what God is working upon you and how God defines your every act. This God, who is by your side, guiding the direction of your progress, ordaining your destiny, and supplying your needs—how much do you, in the final analysis, understand and how much do you really know about Him? Do you know what He works on you every single day? Do you know the principles and purposes on which He bases His every action? Do you know how He guides you? Do you know the means by which He supplies you? Do you know the methods with which He leads you? Do you know what He wishes to obtain from you and what He wishes to achieve in you? Do you know the attitude He takes to the multifarious ways in which you behave? Do you know whether you are a person beloved of Him? Do you know the origin of His joy, anger, sorrow, and delight, the thoughts and ideas behind them, and His essence? 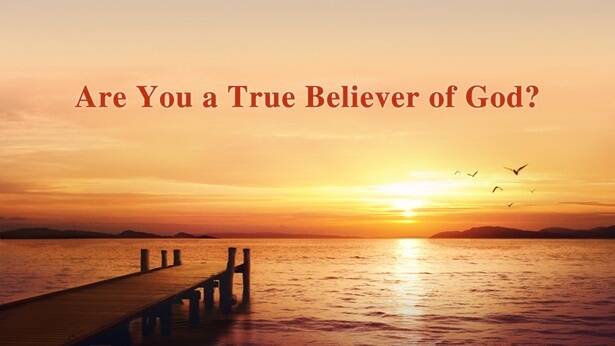 Do you know, ultimately, what kind of God is this God that you believe in? Are these and other questions of the sort something that you have never understood or thought about? In pursuing your belief in God, have you, through real appreciation and experience of God’s words, cleared up your misunderstandings about Him? Have you, after receiving God’s discipline and chastening, arrived at genuine obedience and caring? Have you, in the midst of God’s chastisement and judgment, come to know the rebelliousness and satanic nature of man and gained a modicum of understanding about God’s holiness? Have you, under the guidance and enlightenment of God’s words, begun to have a new outlook of life? Have you, in the midst of the trial sent by God, felt His intolerance for man’s offenses as well as what He requires of you and how He is saving you? If you do not know what it is to misunderstand God, or how to clear up this misunderstanding, then one can say that you have never entered into true communion with God and have never understood God, or at least one can say you have never wished to understand Him. If you do not know what is God’s discipline and chastening, then you surely do not know what are obedience and caring, or at least you have never truly obeyed or cared for God. If you have never experienced God’s chastisement and judgment, then you will surely not know what is His holiness, and you will be even less clear as to what man’s rebellion is. If you have never truly had a correct outlook on life, or a correct aim in life, but are still in a state of perplexity and indecision over your future path in life, even to the point of being hesitant to go forward, then it is certain that you have never truly received God’s enlightenment and guidance, and one can also say that you have never truly been supplied or replenished by God’s words. If you have not yet undergone God’s trial, then it goes without saying that you will certainly not know what is God’s intolerance for man’s offenses, nor would you understand what God ultimately requires of you, and even less what, ultimately, is His work of managing and saving man. No matter how many years a person has believed in God, if he has never experienced or perceived anything in God’s words, then assuredly he is not walking the path toward salvation, his faith in God is assuredly without actual content, his knowledge of God too is assuredly zero, and it goes without saying that he has no idea at all what it is to revere God. God’s possessions and being, God’s essence, God’s disposition—all has been made known in His words to humankind. When he experiences God’s words, man will in the process of carrying them out come to understand the purpose behind the words God speaks, and to understand the wellspring and background of God’s words, and to understand and appreciate the intended effect of God’s words. For humanity, these are all things that man must experience, grasp, and access in order to access truth and life, grasp God’s intentions, become transformed in his disposition, and become able to obey God’s sovereignty and arrangements. At the same time that man experiences, grasps, and accesses these things, he will gradually have gained an understanding of God, and at this time he will also have gained different degrees of knowledge about Him. This understanding and knowledge does not come out of something man has imagined or composed, but rather from what he appreciates, experiences, feels, and corroborates within himself. Only after appreciating, experiencing, feeling, and corroborating these things does man’s knowledge of God acquire content, only the knowledge that he obtains at this time is actual, real, and accurate, and this process—of attaining genuine understanding and knowledge of God through appreciating, experiencing, feeling, and corroborating His words—is no other than true communion between man and God. In the midst of this kind of communion, man comes truly to understand and comprehend God’s intentions, comes truly to understand and know God’s possessions and being, comes truly to understand and know God’s essence, comes gradually to understand and know God’s disposition, arrives at real certainty about, and a correct definition of, the fact of God’s dominion over all creation, and gains a substantive bearing on and knowledge of God’s identity and position. In the midst of this kind of communion, man changes, step by step, his ideas about God, no longer imagining Him out of thin air, or giving rein to his own suspicions about Him, or misunderstanding Him, or condemning Him, or passing judgment on Him, or doubting Him. In consequence, man will have fewer debates with God, he will have fewer conflicts with God, and there will be fewer occasions on which he rebels against God. Conversely, man’s caring for and obedience to God will grow greater, and his reverence for God will become more real as well as more profound. In the midst of this kind of communion, man will not only attain the provision of truth and the baptism of life, but he will at the same time also attain true knowledge of God. In the midst of this kind of communion, man will not only be transformed in his disposition and receive salvation, but he will at the same time also garner the true reverence and worship of a created being toward God. Having had this kind of communion, man’s faith in God will no longer be a blank sheet of paper, or a promise offered up in lip service, or a form of blind pursuit and idolization; only with this kind of communion will man’s life grow toward maturity day by day, and only now will his disposition gradually become transformed, and his faith in God will, step by step, pass from a vague and uncertain belief into genuine obedience and caring, into real reverence, and man will also, in his pursuit of God, gradually progress from a passive to an active stance, from one who is acted upon into one who takes positive action; only with this kind of communion will man arrive at true understanding and comprehension of God, at true knowledge of God. Because the great majority of people have never entered into true communion with God, their knowledge of God stops at the level of theory, at the level of letters and doctrines. That is to say, the great majority of people, no matter how many years they have believed in God, are as far as knowing God is concerned still in the same place where they started, stuck at the foundation of traditional forms of homage, with their trappings of legendary color and feudal superstition. That man’s knowledge of God should be stalled at its starting point means that it is practically non-existent. Apart from man’s affirmation of God’s position and identity, man’s faith in God is still in a state of vague uncertainty. This being so, how much can man have of true reverence for God? No matter how firmly you believe in His existence, this cannot take the place of your knowledge of God, nor of your reverence for God. No matter how much you have enjoyed of His blessings and His grace, this cannot take the place of your knowledge of God. No matter how willing and eager you are to consecrate your all and expend your all for His sake, this cannot take the place of your knowledge of God. Perhaps you have grown so familiar with the words He has spoken, or you even know them by heart and can rattle them off backward, but this cannot take the place of your knowledge of God. However intent man may be on following God, if he has never had genuine communion with God, or had a genuine experience of God’s words, then his knowledge of God would be no more than a sheer blank or an endless reverie; for all that you may have “brushed shoulders” with God in passing, or met Him face to face, your knowledge of God would still be zero, and your reverence for God no more than an empty catchword or an ideal. Many people hold up God’s words to read day by day, even to the point of carefully committing to memory all the classic passages therein as their most prized possession, and moreover preach God’s words everywhere, supplying and aiding others by means of His words. They think that to do this is to bear witness to God, to bear witness to His words, that to do this is to follow God’s way; they think that to do this is to live by God’s words, that to do this is to bring His words into their actual lives, that doing this will enable them to receive God’s commendation, and to be saved and perfected. But, even as they preach the words of God, they never comply with God’s words in practice, or try to bring themselves in line with what is revealed in God’s words. Rather, they use God’s words to gain the adoration and trust of others by trickery, to enter into management on their own, and to embezzle and steal God’s glory. They hope, vainly, to use the opportunity afforded by spreading God’s words to be awarded God’s working and His commendation. How many years have gone by, but not only have these people been incapable of earning God’s commendation in the process of preaching God’s words, and not only have they been incapable of discovering the way that they should follow in the process of bearing witness to God’s words, and not only have they not aided or supplied themselves in the process of supplying and aiding others by means of God’s words, and not only have they been incapable of knowing God, or awakening in themselves genuine reverence for God, in the process of doing all these things; but, on the contrary, their misunderstandings about God grow ever deeper, their mistrust of Him ever graver, and their imaginings about Him ever more hyperbolic. Supplied and guided by their theories about God’s words, they appear as if completely in their element, as if plying their skills with effortless ease, as if they have found their purpose in life, their mission, and as if they have won new life and been saved, as if, with God’s words rolling crisply off the tongue in recital, they have gained access to the truth, grasped God’s intentions, and discovered the path to knowing God, as if, in the process of preaching God’s words, they often come face to face with God. Also, they are often “moved” to bouts of weeping, and, often led by the “God” in God’s words, they appear to be ceaselessly grasping at His earnest solicitude and kind intention, and at the same time to have grasped God’s salvation of man and His management, to have come to know His essence, and to have understood His righteous disposition. Based on this foundation, they seem to believe even more firmly in God’s existence, to be more cognizant of His exalted state, and to feel even more deeply His grandeur and transcendence. 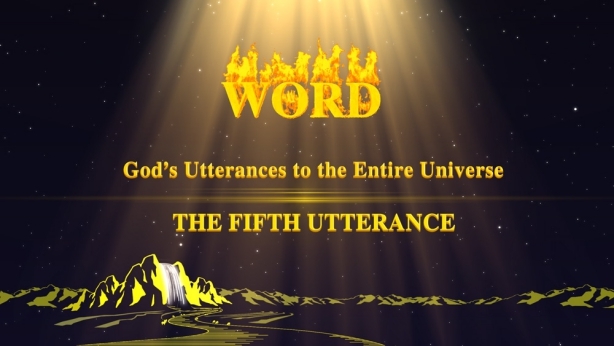 Steeped in the superficial knowledge of God’s words, it would appear that their faith has grown, their resolve to endure suffering has strengthened, and their knowledge of God has deepened. Little do they know that, until they actually experience God’s words, all their knowledge of God and their ideas about Him come out of their own wishful imagination and conjecture. Their faith would not hold up under any kind of test from God, their so-called spirituality and stature would simply not hold up under God’s trial or inspection, their resolution is but a castle built upon the sand, and their so-called knowledge of God too no more than a figment of their imagination. In fact, these people, who have, as it were, put a lot of effort into God’s words, have never ever realized what is real faith, what is real obedience, what is real caring, or what is real knowledge of God. They take theory, imagination, knowledge, gift, tradition, superstition, and even the moral values of humanity, and make them into “investment capital” and “military arms” for believing in God and pursuing Him, even making them into the foundations of their belief in God and their pursuit of Him. At the same time, they also take this capital and weaponry and make them into a magic talisman for knowing God, for meeting and contending with God’s inspection, trial, chastisement, and judgment. In the end, what they garner still consists of nothing more than conclusions about God that are steeped in religious connotation, in feudal superstition, and in all that is romantic, grotesque, and enigmatic, and their way of knowing and defining God is stamped in the same mold as that of people who believe only in Heaven Above, or the Old Man in the Sky, while God’s realness, His essence, His disposition, His possessions and being, and so forth—all that has to do with the real God Himself—are things that their knowing has failed to grasp, is completely irrelevant to and even poles apart from. In this way, although they live under the provision and nourishment of God’s words, they are nevertheless unable truly to tread the path of fearing God and shunning evil. 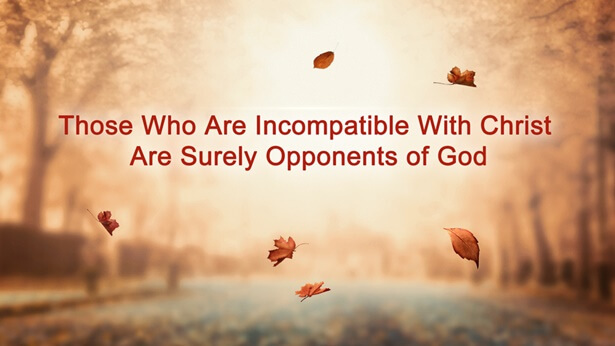 The true reason for this is that they have never become acquainted with God, neither have they ever had genuine contact or communion with Him, and so it is impossible for them to arrive at mutual understanding with God, or to awaken in themselves genuine belief in, pursuit of, or worship for God. That they should thus regard God’s words, that they should thus regard God—this perspective and attitude has doomed them to return empty-handed from their endeavors, has doomed them never in all eternity to be able to tread the path of fearing God and shunning evil. The goal for which they are aiming, and the direction in which they are going, signifies that they are God’s enemies through eternity, and that through eternity they will never be able to receive salvation. If, in the case of a man who has followed God for many years and enjoyed the provision of His words for many years, his definition of God be, in its essence, the same as that of someone who prostrates himself in homage before idols, then this would signify that this man has not attained to the reality of God’s words. This is because he has simply not entered into the reality of God’s words, and for this reason the reality, the truth, the intentions, and the demands upon humanity, all of which inhere in God’s words, have nothing whatsoever to do with him. That is to say, no matter how hard such a man may work on the surface meaning of God’s words, all is futile: Because what he pursues is mere words, what he gets will also of necessity be mere words. Whether the words spoken by God are, in outward appearance, plain or abstruse, they are all truths indispensable to man as he enters into life; they are the fount of living waters that enables him to survive in both spirit and flesh. They provide what man needs to stay alive; the dogma and creed for conducting his daily life; the path, goal, and direction through which he must pass in order to receive salvation; every truth that he should possess as a created being before God; and every truth about how man obeys and worships God. They are the guarantee that ensures man’s survival, they are man’s daily bread, and they are also the sturdy support that enables man to be strong and stand up. They are rich in the reality of the truth of normal humanity as it is lived out by created mankind, rich in the truth by which mankind breaks free from corruption and eludes Satan’s snares, rich in the tireless teaching, exhortation, encouragement, and solace that the Creator gives to created humanity. They are the beacon that guides and enlightens men to understand all that is positive, the guarantee which ensures that men will live out and come into possession of all that is righteous and good, the criterion by which people, events, and objects are all measured, and also the navigation marker that leads men toward salvation and the path of light. Only in the real experience of God’s words is man supplied with the truth and with life; only herein does he come to understand what is normal humanity, what is a meaningful life, what is a genuine created being, what is real obedience to God; only herein does he come to understand how he should care for God, how to fulfill the duty of a created being, and how to possess the likeness of a real man; only herein does he come to understand what is meant by genuine faith and genuine worship; only herein does he understand who is the Ruler of the heavens and earth and all things; only herein does he come to understand the means by which the One who is the Master of all creation rules over, leads, and provides for creation; and only herein does he come to understand and grasp the means by which the One who is the Master of all creation exists, becomes manifest, and works…. Separated from the real experience of God’s words, man has no real knowledge of or insight into God’s words and the truth. Such a man is a downright living corpse, a consummate shell, and all knowledge relating to the Creator has nothing whatsoever to do with him. In God’s eyes, such a man has never believed in Him, nor has he ever followed Him, and so God recognizes him neither as His believer nor as His follower, even less as a genuine created being. A genuine created being must know who the Creator is, what man’s creation is for, how to carry out the responsibilities of a created being, and how to worship the Lord of all creation, must understand, grasp, know, and care for the Creator’s intentions, wishes, and demands, and must act in accordance with the way of the Creator—fear God and shun evil. What is to fear God? And how can one shun evil? “To fear God” does not mean nameless fright and horror, nor to evade, nor to put at a distance, nor is it idolization or superstition. Rather, it is admiration, esteem, trust, understanding, caring, obedience, consecration, love, as well as unconditional and uncomplaining worship, requital, and submission. Without genuine knowledge of God, humanity will not have genuine admiration, genuine trust, genuine understanding, genuine caring or obedience, but only dread and unease, only doubt, misunderstanding, evasion, and avoidance; without genuine knowledge of God, humanity will not have genuine consecration and requital; without genuine knowledge of God, humanity will not have genuine worship and submission, only blind idolization and superstition; without genuine knowledge of God, humanity cannot possibly act in accordance with the way of God, or fear God, or shun evil. Conversely, every activity and behavior in which man engages will be filled with rebellion and defiance, with slanderous imputations and calumnious judgments about Him, and with evil conduct running contrary to the truth and to the true meaning of God’s words. Once humanity has genuine trust in God, they will be genuine in following Him and depending on Him; only with real trust in and dependence on God can humanity have genuine understanding and comprehension; along with real comprehension of God comes real caring for Him; only with genuine caring for God can humanity have genuine obedience; only with genuine obedience to God can humanity have genuine consecration; only with genuine consecration to God can humanity have requital that is unconditional and without complaint; only with genuine trust and dependence, genuine understanding and caring, genuine obedience, genuine consecration and requital, can humanity truly come to know God’s disposition and essence, and to know the identity of the Creator; only when they have truly come to know the Creator can humanity awaken in themselves genuine worship and submission; only when they have real worship for and submission to the Creator will humanity be able truly to put aside their evil ways, that is to say, to shun evil. This constitutes the whole process of “fearing God and shunning evil,” and is also the content in its entirety of fearing God and shunning evil, as well as the path that must be traversed in order to arrive at fearing God and shunning evil. “Fearing God and shunning evil” and knowing God are indivisibly connected by a myriad threads, and the connection between them is self-evident. If one wishes to attain to shunning evil, one must first have real fear of God; if one wishes to attain to real fear of God, one must first have real knowledge of God; if one wishes to attain to knowledge of God, one must first experience God’s words, enter into the reality of God’s words, experience God’s chastening and discipline, His chastisement and judgment; if one wishes to experience God’s words, one must first come face to face with God’s words, come face to face with God, and ask God to furnish opportunities to experience God’s words in the form of all sorts of environments involving people, events, and objects; if one wishes to come face to face with God and with God’s words, one must first possess a simple and honest heart, readiness to accept the truth, the will to endure suffering, the resolution and the courage to shun evil, and the aspiration to become a genuine created being…. In this way, going forward step by step, you will draw ever closer to God, your heart will grow ever more pure, and your life and the value of being alive will, along with your knowledge of God, become ever more meaningful and wax ever more radiant. Until, one day, you will feel that the Creator is no longer a riddle, that the Creator has never been hidden from you, that the Creator has never concealed His face from you, that the Creator is not at all far from you, that the Creator is no longer the One that you constantly long for in your thoughts but that you cannot reach with your feelings, that He is really and truly standing guard to your left and right, supplying your life, and controlling your destiny. He is not on the remote horizon, nor has He secreted Himself high up in the clouds. He is right by your side, presiding over your all, He is everything that you have, and He is the only thing you have. Such a God allows you to love Him from the heart, cling to Him, hold Him close, admire Him, fear to lose Him, and be unwilling to renounce Him any longer, disobey Him any longer, or any longer to evade Him or put Him at a distance. All you want is to care for Him, obey Him, requite all that He gives you, and submit to His dominion. You no longer refuse to be guided, supplied, watched over, and kept by Him, no longer refuse what He dictates and ordains for you. All you want is to follow Him, walk alongside Him to His left or right, all you want is to accept Him as your one and only life, to accept Him as your one and only Lord, your one and only God.